Issued in 1974, this Laughlin set of 40 cards highlighted one event from each year from 1933-1973. 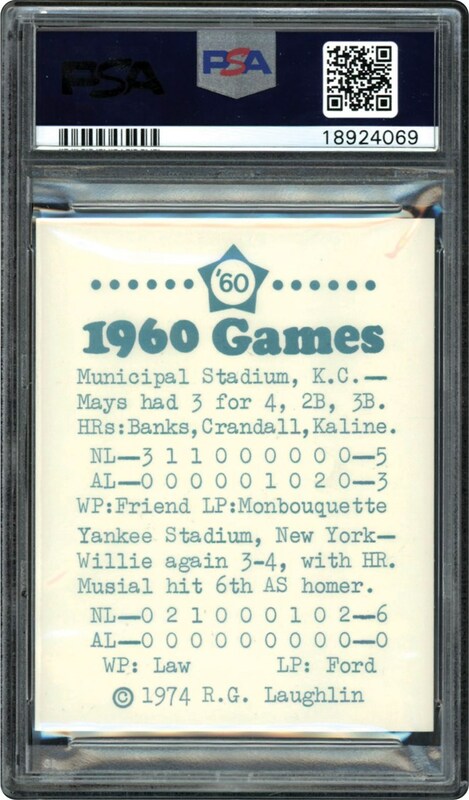 The offered card here is #60 of Willie Mays used for the 1960 year. 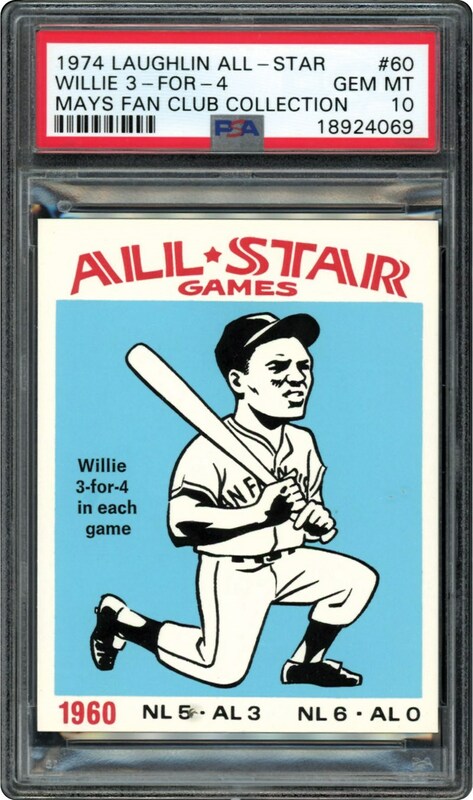 One of just two in the PSA 10 holder.